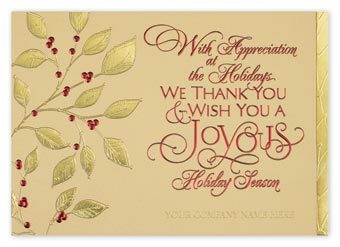 A charming and eye-catching design makes the Gilded with Joy Card a perfect choice for sending the merriest of wishes.Unique touches include shiny gold embossed leaves and right trim, shiny burgundy berries and greetingAdd your company's personalization in gold foil to the 84# gold pearl linen paper stock. 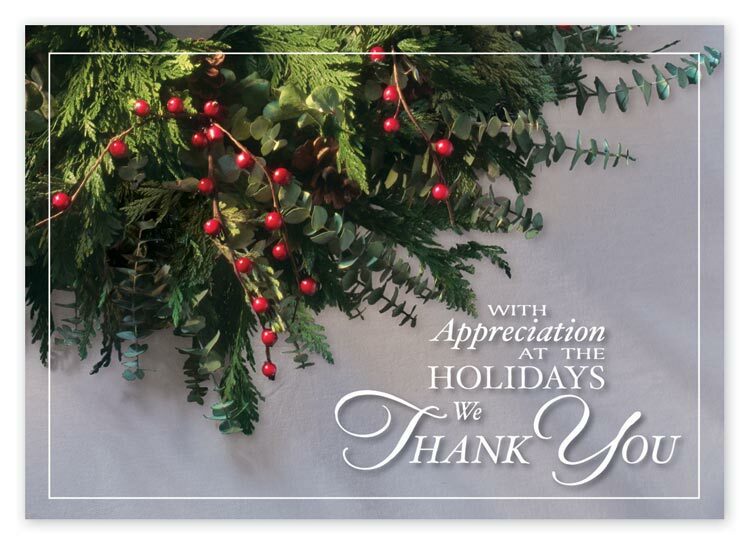 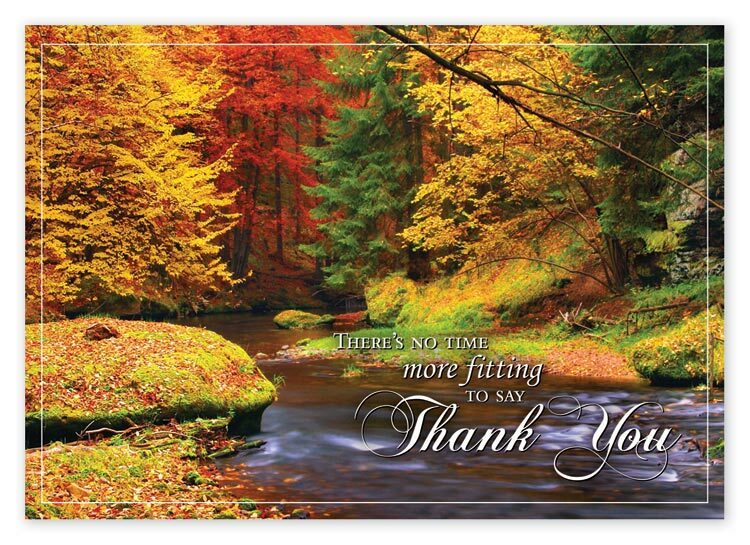 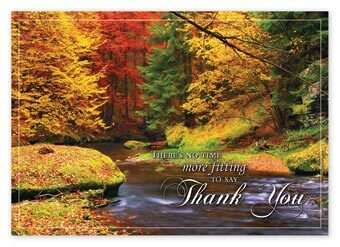 Send warm holiday greetings with this festive and budget-friendly Ever Thankful Card.Unique touches include rich, full-color imagery on high-quality white paper stock with a glossy cover.Add your company's personalization to the high-quality white paper. 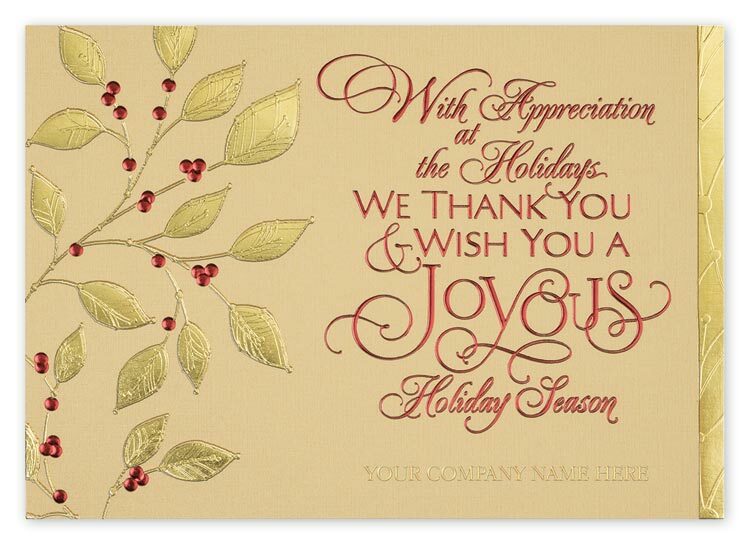 Send warm holiday greetings with this colorful and budget-friendly Splashes Of Color Card.Unique touches include rich, full-color imagery on high-quality white paper stock with a glossy cover.Add your company's personalization to the high-quality white paper.